The wild bunch behind the Mission Valley Craft Beer & Food Festivals are at it again. On December 5 at The Handlery Hotel, five of San Diego's top chefs will converge for a special duck dinner paired with the fantastic Belgian-inspired beers from Societe Brewing. The Five Chef Societe II - Duck Tales is an event not to miss - the evening will start with hors d'oeuvres from Chef Matthew Morrison of Stone World Bistro & Gardens Liberty Station, and will continue with 5 duck-focused courses from Chef Daniel Barron of La Valencia Hotel, Chef Hanis Cavin of Carnitas Snack Shack, Chef Rich Sweeney from R Gang Eatery/Southpaw Social Club, Chef Matt Richman from Table 926, and the host-chef of the evening, Chef Karl Prohaska of Handlery Hotel. 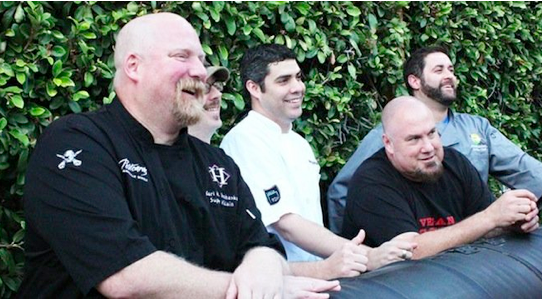 After the success of their previous events, including the Mission Valley Craft Beer & Food Fest, Chef Karl's Country Boils, the New Kids on the Block beer festival series, and most recently, the Heavenly Hog Fall Pigout (which had to be moved to La Valencia), Gus Thompson and Karl Prohaska from Handlery Hotel are ready to continue their objective of hosting some of the most fun food and spirits events in San Diego. Duck Tales on December 5 will relaunch the Handlery boys into the spotlight as they refocus in preparation for one of their biggest events ever - coming this February 2014 (details coming soon). We'll give you a hint - there will be food and beer involved. The Five Chef Societe II - Duck Tales will begin at 6:30pm with a reception with snacks and your first beer. 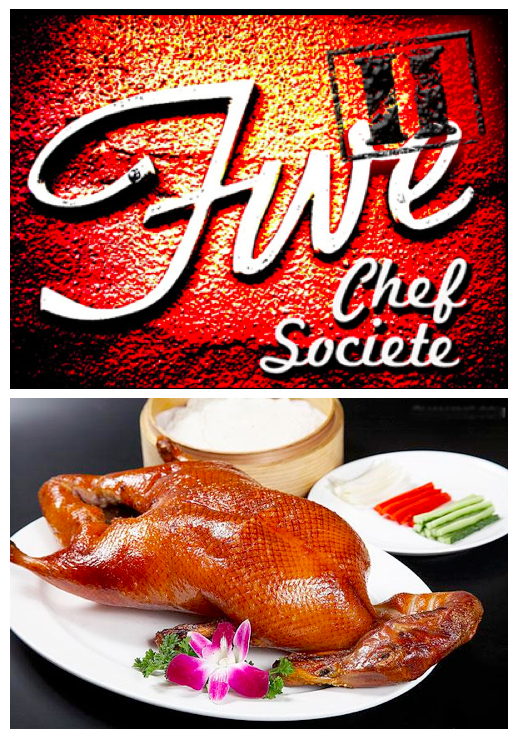 At 7pm, guests will move to the dining room and be treated to a series of 5 special pairings of our fine feathered friend and amazing craft beer from Societe. The full menu has been released and includes Chef Matt Richman's Duck Sausage and Duck Scotch Egg (quartered) with a Confit Duck Wing and French Tofu Cream Sauce. Chef Rich Sweeney will be presenting his San Diego Bay Wine & Food Fest Chef of the Fest-winning-dish, incorporating duck into dessert, bringing Duck Fat Fried Beignets, with Burnt Orange Creme, Smoked Duck Dust, and Glazed Duck Skin for your eating pleasure. Other offerings include Duck Consomme Bocuse with smoked duck, fennel, confetti vegetables, and duck crackling pastry lid from Chef Karl Prohaska; crispy duck thigh with french tofu croquet from Chef Hanis Cavin; and Duck Breast roulade wrapped in duck thigh bacon with persimmon kabocha and rare jus from Chef Daniel Barron. "I really hope people want to spend an evening with the Five Chef Societe," explained Chef Karl Prohaska. "This event is born out of the fact that I like to cook and drink beer with my friends. It just so happens that my friends are amazing chefs and great brewers. It's going to be relaxed, casual, elegant and precisely executed all at the same time." Tickets for this 5 course dinner with beer pairings are just $75 (includes all food, beer pairings, tax and gratuity), and seats are limited to the first 70 people. If you love duck done well paired with some of San Diego's best beer, then be sure to treat yourself to what is sure to be an amazing meal. Purchase tickets online and follow the Facebook Event Page.